Postal Notice is a patented service that immediately notifies recipients of the delivery of USPS delivered letters, fully augmenting and supporting the recently implemented USPS Informed Delivery program. Moreover, because the equipment necessary for the service is already in place, Postal Notice™ may be implemented with no equipment cost to the USPS. Further, Postal Notice can be a source of significant revenue for the USPS. 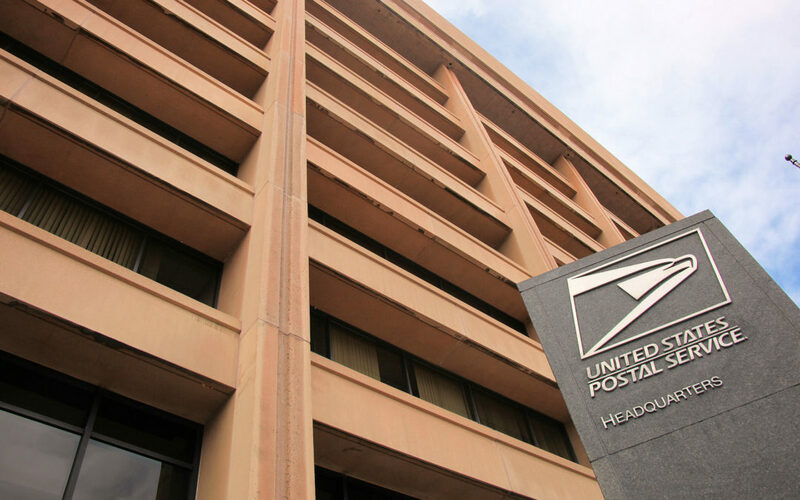 Under the same provisions in place for the MoverSource program that allows the Postal Service to collect funds, the USPS could seek a minimal fee from service subscribers. If only 10 percent of mail recipients nationwide subscribed to Postal Notice, the USPS would realize more than $700 million annually. This is revenue based on a $3 monthly fee for individuals and a $7 monthly fee for business customers. Who benefits? The end users. While subscribers to Informed Delivery receive an email each morning informing of the pending delivery of a specific scanned letter, Postal Notice tells subscribers through the Internet, smart phone, or pre-recorded phone call that the letter carrier has made the delivery. Using social media, the Postal Services provides instant gratification to its customers. Notice of delivery is live, sent while the letter carrier is at the mailbox. The process is invisible to the letter carrier. No additional union labor or costly equipment is required. Multi-tasking business owners know the instant promised documents have arrived. Anxious mothers know the letter from a distant relative is in her mailbox. Rural Americans, frequently some distance from their mailbox, know when the letter carrier has visited their location. The elderly and less active citizens, often needing assistance for their trip to the mailbox, can make an informed choice to retrieve their mail. Patented Postal Notice (Patent number 9,609,973) utilizes the Geofencing aspect of the global positioning system device (Honeywell Dolphin 99EX Mobile Delivery Device that alerts supervisors to any deviation from the carrier’s defined route) carried by all letter carriers. Because the Postal Service has Geocoded by longitude and latitude each of the more than 155 million mail delivery points in the United States, the delivery message can automatically be sent by the GPS device to subscribers at the very moment the letter carrier passes the virtual fence established by the USPS. No barcodes or tracking numbers are required. Delivery point sequencing and Informed Delivery images, which are predetermined before the route begins, will be coordinated, eliminating the potential of false positive messages being sent. As carriers enter a Geofenced delivery point, the existing system checks Delivery Point Sequencing and Informed Delivery images, ensuring that Postal Notice subscribers using cluster delivery points receive immediate and accurate messages when the delivery has been made. Additionally, the immediacy of Postal Notice notifications will enhance the USPS initiative mandated by the Postal Reform Act of 2017 to provide a more secure centralized delivery. Patrons know the exact moment delivery has been accomplished, enabling them to collect mail on a moment’s notice, reducing the potential of stolen mail. Postal Notice has unique advantages over the two notification systems in use by the Postal Service. The USPS’ Informed Visibility system, used primarily by bulk mailers, requires barcodes and requires that the Postal Service physically scan each piece. Postal Notice requires neither. The Informed Delivery system, while an effective customer service, requires that each letter be physically scanned. Subscribers are notified early in the day that the letter is out for delivery. Postal Notice tells subscribers the instant the letter carrier has arrived. No scanning or additional handling by any Postal Service employee is needed. Postal Notice, a significant customer service instrument, is a logical next step for the USPS to implement. Equipment cost is nil. New union labor is nil. Customers benefit. Moreover, by implementing processes similar to those in place for the MoverSource program, the Postal Service could realize revenues more than $700 million annually with only 10 percent participation by mail recipients across America. The Postal Accountability and Enhancement Act of 2006 (PAEA) – H.R. 6407 (see Section 102 Postal Services) disallows the USPS from performing nonpostal services. However, because of the current use of a barcode tracking system that includes a notification system, there is still a way to create an additional profit source that will also provide a much-needed service to many residents of the United States. Does the creation require labor hours from the mail carriers before placing mail inside last mile receptacle? Yes- ImB & Tracking numbers would be required to be physically scanned by the Honeywell Dolphin 99ex No – This service is designed for start of the day, pre-delivery No – Its an Internet of Things (IoT) autonomous service, uses geofence, and the internet. All USPS carriers carry a GPS device intended for barcode scans and an internal supervisor geofence process. It’s a simple process of also allowing all public US Citizens access to the information in a secure manner. Will the mail addressee customer be notified in real time after mail is delivered similar to a social media text? No – Pallets and trays can receive live updates but predictive/logical last mile mail does not. It would require physical scans on all 155 million receptacles per day No – Its projected that customers will receive machine vision images inside an email same time, each day, early in the morning (i.e. 8 am) Yes – Instantly to the second. If it’s a cluster mailbox the system will quality check Informed Delivery and Delivery Point Sequencing to make sure mail it available for that day. When and how often will the notifications be sent? Multiples times per day. Pallets and trays are tracked by barcodes. Last miles pieces are physically scanned Once per day around 8am on the same day of the mail. Once per day instantly as last mile mail is instantly placed inside receptacles. When and how could the creation start to receive positive revenue? Pilot is ongoing. IV gives mailers visibility into their mailings and service, increasing the value of mail and enabling mailers to plan their mailings, measure success of each mailing campaign, and efficiently staff. Project 2017. Informed Delivery is an interactive way for USPS to jump into the Digital World. I would hope, after new legislation, USPS would start to collect revenue for each image inside email. Similar to mailings. When the Unsolicited Proposal is accepted – testing can start. USPS already uses owns GPS Devices, and use Geofence internally. Informed Delivery and Delivery Point Sequencing would be used for zero false positives.